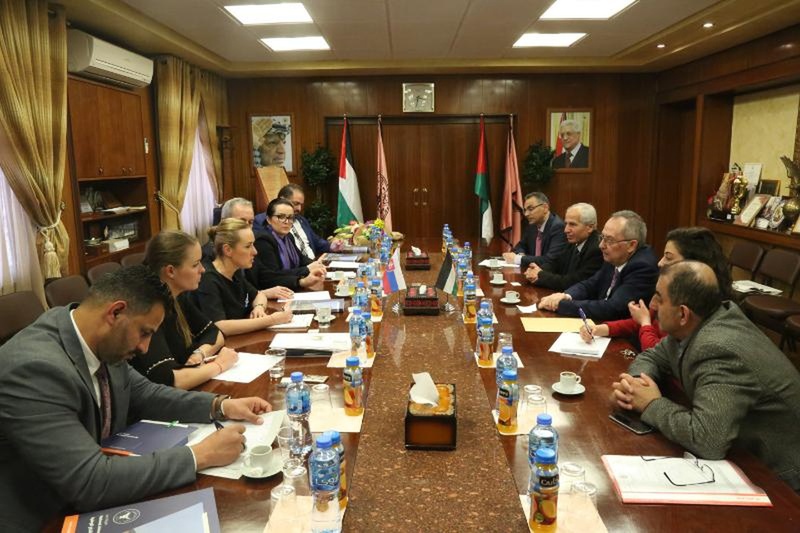 On Tuesday, March 12, 2019, Professor Maher Natsheh, Acting President of An-‎Najah received a distinguished delegation from the Slovak Republic. The delegation ‎included Mrs. Karla Wursterova, Director General for International Organizations, ‎Development Assistance and Humanitarian Aid, Mrs. Lucia Kiss, Director of Slovak ‎Agency for International Development Cooperation, Ms. Petra Ruzickova from the ‎Department for Development Cooperation and Humanitarian Aid, Amb. Miroslav ‎Hacek, Head of the Slovak Representative Office, Mr. Sami Jabra, Deputy Head of ‎the Slovak Representative Office, Mr. Mahmoud El-Sheikh, Desk Officer of ‎Slovakia, and Ms. Nadine Husari, Desk Officer of Deplomatic Missions.